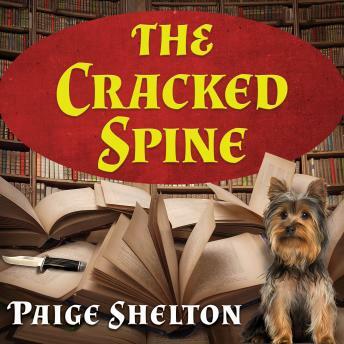 In need of a good adventure, Delaney Nichols takes the leap and moves to Edinburgh, Scotland, to start a job at The Cracked Spine. She doesn't know much about what she's gotten herself into, other than that the work sounds exciting, and that her new boss, Edwin MacAlister, has given her the opportunity of a lifetime. When she arrives, she meets her new Scottish family; also working at the Cracked Spine are Rosie, perpetually wrapped in scarves, and who always has tiny dog Hector in tow; Hamlet, a nineteen-year-old thespian with a colored past and bright future; and Edwin, who is just as enigmatic and mysterious as Delaney expected. But before she can settle into her new life, a precious artifact-a previously undiscovered First Folio of Shakespeare's plays-goes missing, and Edwin's sister is murdered, seemingly in connection to the missing folio. Delaney decides to do some sleuthing of her own, to find out just what the real story is behind the priceless folio, and how it's connected to the tragic death, all without getting harmed herself.